THRILLED! A collaboration with APiece APart & Jean Adamson chef/owner of Vinegar Hill House. Have a look here! To celebrate the transition from one season into the next, APiece APart asked asked their friend Jean Adamson — talented chef and the owner of favorite Brooklyn spots like Vinegar Hill House and VHH Foods — to create a special end-of-summer recipe. 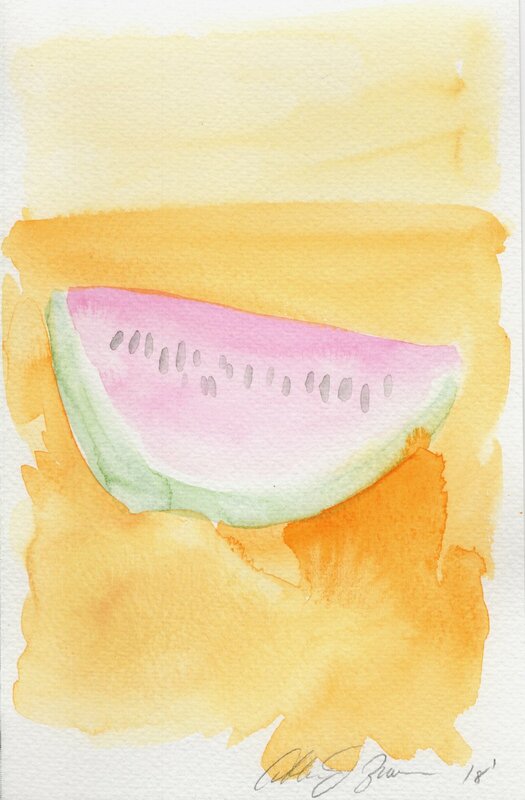 My watermelon watercolors were custom requests to accompany the recipe. 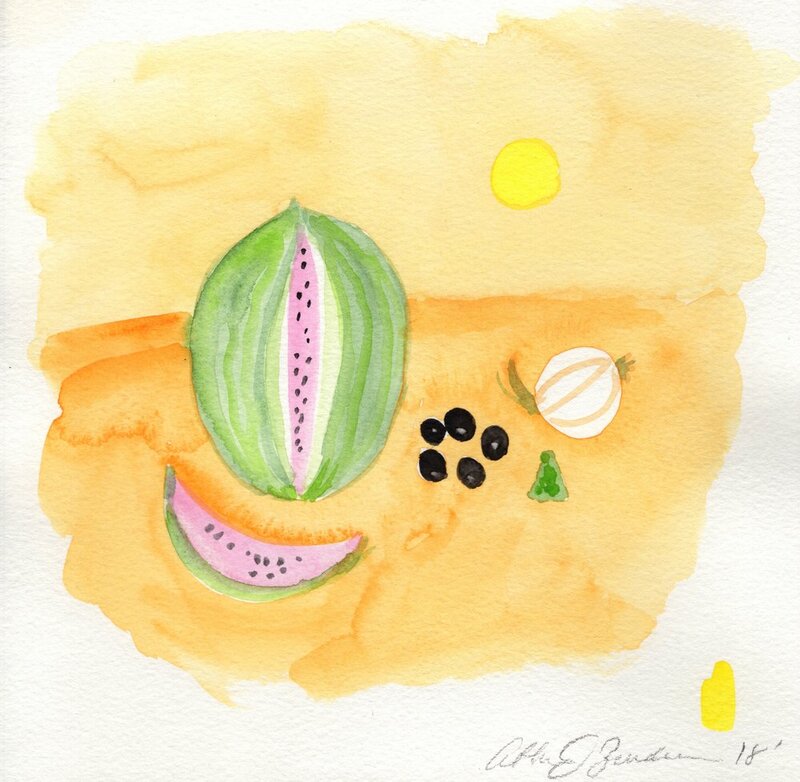 I love illustrating recipes, collaborations are just the BEST. It all looks terrific together! Thank you everyone.